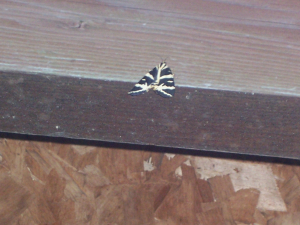 Observation - Jersey Tiger - UK and Ireland. Description: Seen on the roof of the Centre for Wildlife Gardening, East Dulwich. So wildlife gardening definitely works! Seen on the roof of the Centre for Wildlife Gardening, East Dulwich. So wildlife gardening definitely works!